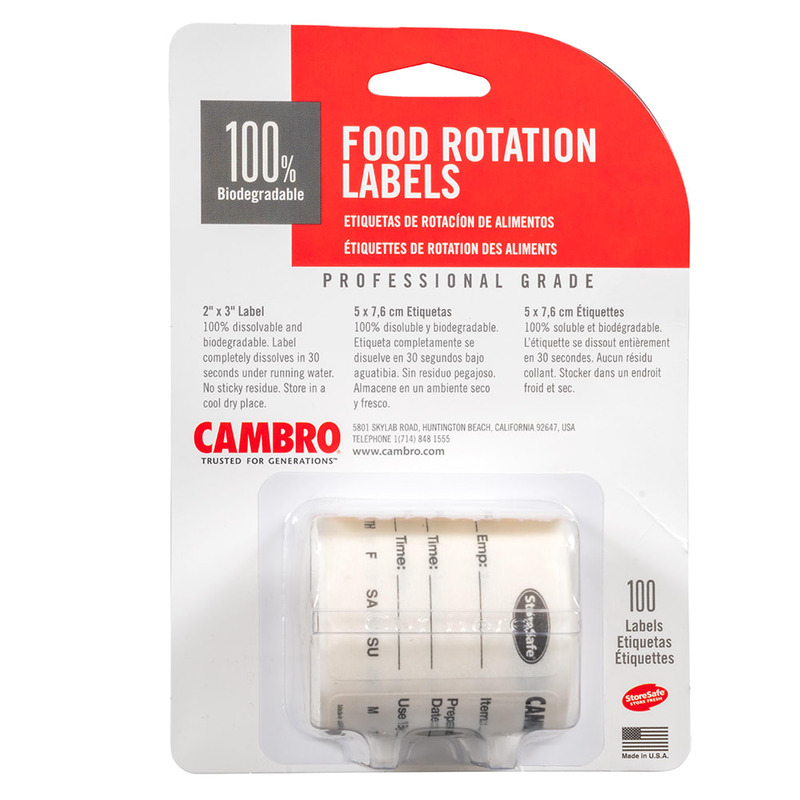 Cambro 23SL StoreSafe® food rotation labels make it easy for employees to keep up with inventory and implement a first-in, first-out system. It can be used for freezer storage in temperatures as low as -40 degrees Fahrenheit. When operators are ready to remove it from the container, they can place it under cold or hot water or in the dishwasher, and it will dissolve in 30 seconds. Since it dissolves without leaving a sticky residue, it will not harbor harmful bacteria. As it dissolves, it will not clog the drain or damage the sewer system or septic tank. Can withstand 200 degrees F for 4 hrs. Overall dimensions: 2 in. x 3 in. 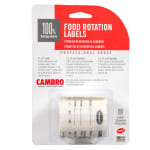 Our Cambro food labels guide has in-depth information on these.